Highs in the 40’s this week. Can we think maybe spring is around the corner? We’re taking this SHIP to a whole new level in a galaxy far, far away. When the characters of Star Wars meet the emotional medley of "Shallow" from "A Star is Born" we get a glimpse at a star-crossed romance between two rivals. Sit back, grab an ice cold glass of green milk, and enjoy the newest Nerdist Presents music video parody. From the team that brought you “That Spidey Life” and “Young King”. 2019 Perrella Home Show tomorrow! When you’re wondering how to save money for a house, it can start to feel like you’ll never scrape together enough for a down payment. Yeah, you already know that Rome wasn’t built in a day. Well, the same holds true for building a down payment. It takes time! Still, as long as you grease the gears early (like now), you’ll barely notice you’re saving until—boom!—one day in the foreseeable future you’ll be sitting on a pile of money that could pave the way to homeownership. Sound good? Good. Here’s how to get started. OK, let’s shift those preconceived notions. 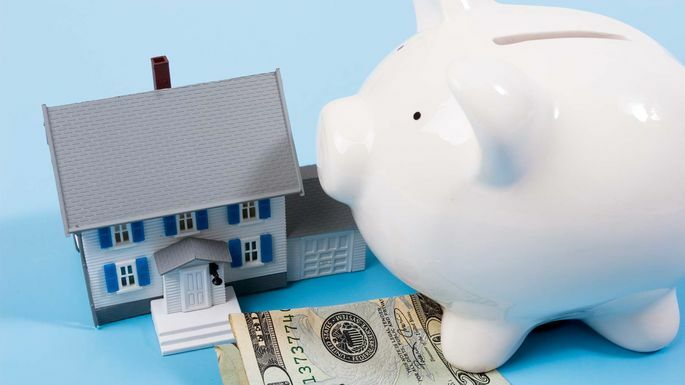 Contrary to popular belief, the answer to how to save money for a house isn’t mostly about grueling sacrifice—e.g., holing up in your apartment under a bare light bulb, eating ramen, and piggybacking off your neighbors’ Wi-Fi. Replace your $250 monthly cable service with a $10 Netflix standard streaming account, and you’ll save $2,880 per year. Cut that languishing gym membership—at $50 per month, you’d save $600 a year. Go running instead! Packing lunch will save you about $60 a month—or $720 a year. Bike to work. For a 10-mile commute, biking can save you around $5 a day, according to Kiplinger—or $1,250 a year. Start a coin jar. Saving all your loose change can have a big impact—up to $700, according to financial blogger J.D. Roth. Turning down your thermostat just 3 degrees could shave almost 10% off your electrical bill, netting you $20 a month on a $200 bill, or $240 a year. And if you and your significant other team up and try all of the above, that would amount to $10,550 per person, or $21,100 in one year’s time. Just remember that when you’re thinking of ordering a second glass of artisanal craft beer. If you don’t have a savings account, now’s the time to open one. A checking account is great for daily expenses, but when it comes to saving money—well, they don’t call them savings accounts for nothing. You’ll earn interest on your balance, plus there’s a lot to be said for the mental benefit of having a specific place to stash your down payment. While interest rates haven’t been very impressive in recent years (though, you’ll be grateful for that when it comes time to get a mortgage), it’s still great to have a dedicated account where you can see how you’re progressing toward your goal. Financial planner Bob Forrest of Mutual of Omaha points out that CDs and money market accounts offer higher gains than savings. You’ll need a larger minimum balance than for a regular savings account, but your goal is to make it grow, not shrink, right? If you’re using a CD, just make sure you don’t withdraw the money before the time is up or else you’ll face some stiff penalties. If you’re struggling to put enough money away because of the constant temptations to blow your paycheck, consider automating the process. Ask your employer if you can have your paycheck deposited into multiple accounts—if so, instruct it to send a certain percentage of your salary directly into your savings account. Or go through your bank, setting up automatic withdrawals from your checking to savings account that will force you to keep spending in check. Another great place to stash your cash? A traditional or Roth IRA, says Forrest. In addition to being a tax-friendly retirement vehicle, it allows you to withdraw up to $10,000 for a home. While withdrawals from a traditional IRA will be taxed, a Roth IRA you’ve owned for more than five years won’t be taxed at all, as long as you’re a first-time home buyer. Just be careful with this method, though, as you will be denting your retirement funds. But combined with other savings, it can quickly add some heft to your growing nest egg. Depending on the city and state you live in, you may be eligible for down payment assistance programs, which provide money to help people buy a home. Most offer up to $15,000, typically in the form of a grant or low-interest loan. Most require your income to be below the area median. But even if you make more, do your research—there are programs that provide funds for higher-income households. If saving up for a down payment is a challenge, it may surprise you to know that you don’t always need to save 20% for a down payment. With certain kinds of loans, you can get away with a down payment as low as 3.5% (for FHA loans) or even 0% (USDA loans). Here’s more on how to buy a home without 20% down. Once your down payment is on a roll, it’s time to start looking for a home—and to do that, you’ll need to determine exactly how much house you can afford. What’s Up in Real Estate Friday!!! First-time buyers are finding the housing market challenging to break into. On average, they have to put in 3.8 offers before their offer is accepted, which is higher than the 2.5 offers that repeat buyers typically make, according to a new survey of about 2,000 U.S. adults from NerdWallet, a personal finance website. 3 Ways a First-Time Home Buyer Can Drive You Nuts! Further, 56 percent of first-time buyers say they offered more than the asking price before they were successful in their home purchase. For comparison, 35 percent of repeat buyers say they offered more than the asking price. As the newbies in the market too, first-time buyers may be prone to some mistakes, such as lowballing initial offers or failing to shop around for their mortgage, Lewis says. Failing to shop around for a mortgage: NerdWallet’s research found that 50 percent of all buyers applied to just one lender for their mortgage. But that could be leaving money on the table. Shopping around can save you, on average, $430 in interest in the first year for those with a fixed-rate $260,000 mortgage, NerdWallet’s study finds. “That savings would accumulate and compound for every year that they had the loan,” Lewis told CNBC. Believing the 20 percent down payment myth: Lewis says another common rookie mistake is believing you have to put down more of a down payment than you really do. Seventy-one percent of current homeowners say they made down payments of 20 percent or less, according to U.S. Census Bureau data (of those, 23 percent of buyers put down between 11 to 20 percent; 16 percent put down 6 to 10 percent; and 32 percent put down 5 percent or less). In markets where home prices are rising at a faster clip, buyers may find it time to buy now rather than wait until they ‘ve saved a 20 percent down payment, Lewis says. But Lewis adds that in some markets, however, home values may be increasing more than what a buyer would pay for mortgage insurance. Lenders usually require mortgage insurance when borrowers don’t put at least 20 percent down. Showing unwillingness to compromise: First-time buyers may also be going in with too-high expectations. Housing inventories in the lower price ranges, which typically first-time buyers are looking at, are low and that means limited choices. Twenty-six percent of all recent buyers surveyed say they purchased a home knowing it would need improvement or work. Twenty-one percent also said they had to compromise on their list of must-haves. Real estate experts urge first-time buyers to identify their top priorities, such as commute times, schools, and square footage. “It really helps to know going into that it that you’re just simply not going to get everything you want,” Lewis told CNBC. WHATS NEW IN REAL ESTATE TODAY!!! Bolder color schemes and more usage of brass were among some of the latest home design trends—which focused particularly on the kitchen and bathroom—featured on the expo floor at last week’s 2019 International Builders’ Show in Las Vegas. Hosted jointly by the National Association of Home Builders and the Kitchen & Bath Association, the trade show brought together more than 80,000 builders and architects who offered forecasts for the new-home construction, remodeling, and home design industries. Here’s a look at some of the hottest design trends that were on display. Bolder hues were gracing kitchen and bathroom cabinetry, walls, and even sinks. Kohler delivered a colorful punch with a bathroom design that included a purple sink, purple claw-foot bathtub, blue sinks, and a black toilet. Explore REALTOR® Magazine’s 2019 IBS coverage, including the latest home features to gain prominence and the effect of affordability on new construction. Homeowners are starting to branch away from neutral grays, and wider color choices are expected to dress up interiors in 2019 and 2020, says Sue Wadden, director of color marketing at Sherwin Williams. That’s why the company chose Cavern Clay as its 2019 Color of the Year, a terra-cotta color and nod to the popularity of the American Southwest aesthetic. Clay can serve as a neutral color but with a pop, Wadden says. “I think as we near 2020 and the start to a whole new decade, consumers are getting excited to get back to more color, especially in the kitchen,” Wadden says. Indeed, bold kitchen colors were a dominant force at IBS 2019, with cabinets in greens, blues, and reds. Five years ago, espresso-stained cabinetry was the top kitchen trend. Now, the top choices are paint colors: white, gray, black, and navy, which is quickly becoming a rising star, Wadden says. Brass hardware, lighting, and faucets made appearances in many kitchen and bathroom spaces on the expo floor. This is not the same shiny brass from the 1980s; it’s less polished. It’s also being placed alongside other metals, such as chrome or brushed nickel, matted black, or bronze. CAFÉ, part of the GE Appliances brand, introduced customized hardware options in various metals, such as brushed bronze, brushed stainless, or brushed black. Homeowners can dress up appliance handles with the different finishes to their stainless steel, matted white, or matted black refrigerator or stove. For example, soft brushed copper hardware handles can be added to a matted white refrigerator for a more contemporary vibe. Particularly when it comes to lighting fixtures, geometric shapes are another star in home design trends. Square and circular fixtures that expose Edison bulbs—which are becoming focal points in a kitchen space—make for artistic pendants over a kitchen island. “We’re seeing a lot of mid-century modern and geographic shapes,” says designer Julianna Dykstra of Distinctive Bathroom & Kitchen Inc., in Ottawa. “We’re seeing the Edison bulbs along with mixed metals in faucets and hardware. It’s adding a little more bling in the kitchen.” Geometric shapes are also showing up in tiles on bathroom shower walls and kitchen backsplashes. Homeowners recently have traded bathtubs for large, luxurious showers. But while that’s still on trend, Todd Hallett, president of TK Design and Associates, says bathtubs are reclaiming their place in the bathroom and becoming the new focal point. “When you walk in, you look directly ahead to see the tub and the shower behind it,” Hallett says. “It becomes a dramatic space.” Showrooms on the expo floor at IBS 2019 featured standalone bathtubs as the centerpiece of the bathroom, accented with a chandelier above and overlooking a fireplace. Extending the living space to the outdoors has been a hot home trend for the last few years, but all-glass sliding wall panels and pocket doors are making the transition from the inside to outside more seamless. These doors disappear inside walls, hiding away to expose the outdoors. This eases the transition into an outdoor kitchen, fire pit, pool, or lounging space. Surveys conducted by home design website Houzz show that opening indoor space to the outdoors is a home remodeling trend that is growing in popularity. “Folding doors or sliding doors that open the kitchen to the outdoors has mostly been in the luxury segment,” says Nino Sitchinava, principal economist at Houzz. But she says other price points are starting to makeover their spaces, such as replacing a single door to the backyard with double doors or replacing double doors with triple doors. Pocket windows, which were featured in the 2019 New American Home, slid away entire sections of windows to expose an outdoor wet bar area to the indoor kitchen. Innovations in sliding wall panels have made them more energy efficient so, when closed, they better retain the indoor heating and cooling. Also at IBS 2019, companies showed off innovations in the shape and size of the glass, including rounded sliding wall panels.